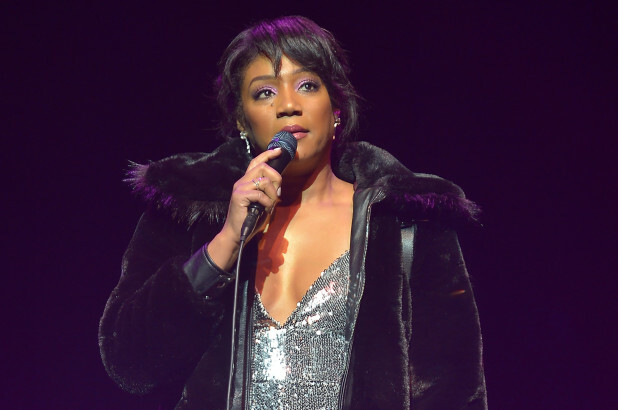 Tiffany Haddish Bombs on New Year's Eve - Fans Walk Out and She Ends Set Early to Have a Drink. - T.V.S.T. I have to say that I personally haven’t found Tiffany Haddish to be that funny…yet. I have this argument all the time. The market is the market, and her recent success can not be denied, therefore I am usually alone with Katt Williams in my opinion. However, the more commercials I see her in, the more unfunny she seems. She was right. It sure was on TMZ. Finally figuring out that she couldn’t win the crowd over, she cut her set short and decided to join the audience for a drink. The next day, on New Year’s Day, she sent out the tweet above acknowledging that it just wasn’t a good night. She also mentioned on Instagram in an earlier post that she was partying pretty hard the night before; she might want to think twice about that next time. I’m sure this happens to all comedians at one time or another, however when you reach a certain height of fame, it should happen less. I thought Tiffany was there, I’m sure she did to. Katt Williams is bringing in the New Year with a smile, I’m sure. Kim Kardashian And Kanye West Are Expecting Baby Number Four Via Surrogate, Get The Details Inside!